A blog about books, writing, art and life in general. Stevie in The Goat states that life is supposed to run in a straight line when she learns that her husband is in love with Sylvia, who also happens to be a goat. There are some things that a woman can get her head around, be it infidelity with another woman or the loss of love, but to be told by her husband of 25 years that he loves her and a goat on an equal basis is something that Stevie cannot comprehend or the audience for that matter. On the 6.35pm train from Heuston-Dublin to Waterford there is a catering attendant who is the epitome of customer service. I regularly see him pushing the food and drinks trolley up and down the aisle with a cheery smile and a genuine demeanour that lifts just about any bad mood. In these days of self service, automated robotic service, carousel-moving-shove-the-goods into the bag as fast as you can service or the 'do I have to deal with you' service, he is a beacon of light in the rise of fake and declining customer service. In particular his genuine customer service this evening really lifted me and when he wished me a lovely weekend despite me declining a sale of tea or coffee I wanted to thank him for treating me with a bit of decency because I needed it after the bus journey I had just endured. 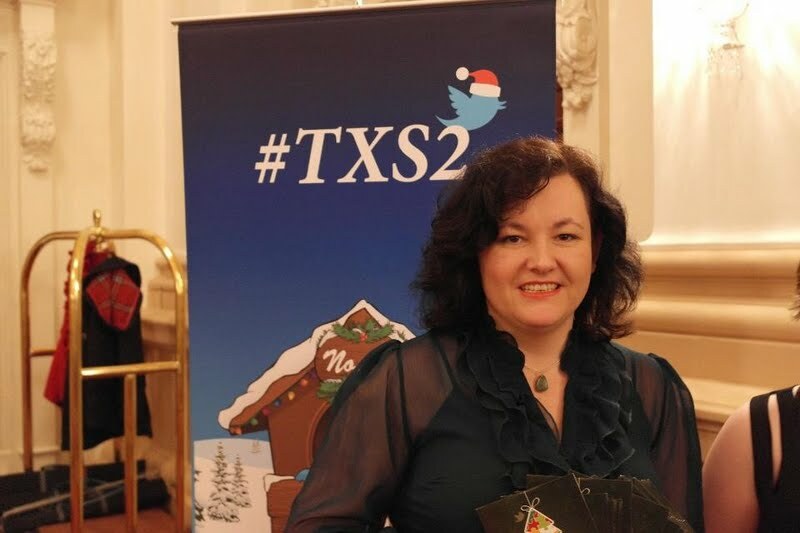 Holding on For Christmas the original single for #txs2 is launched. The wait is over and it was worth it. The song is fantastic with its upbeat tempo, catchy lyrics coupled with an amazing bridge that urges us to reach out and show someone that you care. Each of the soloists did an amazing job, Ian Callanan and Brenda Drumm expertly guided us and I feel immense pride that I was part of the choir. Yet underlying this as discussed in my previous blog post this is for Console who work day in and day out to assist those who feel suicidal or those who lost loved ones to suicide. When the first clip of the video to #txs2 revealed that in Ireland 500 people a year die from suicide, the stark reality of it hit me. That is 500 deaths per year, often through violent means and 500 families grieving with their hearts ripped out asking / crying / sometimes screaming why? That's a lot of bloody hearts out there. It is how and why organisations like Console came about as they go some way to easing the hurt and saving lives. So please buy the song, apart from contributing to something special, you get the opportunity to bop to a really great song during the festive season so download Holding on for Christmas from Itunes for only 99c. On a final note I think it is both wonderful and ironic that through the power of Twitter, which is so often associated with cyber bullying and cruel trolling behaviour, that in this instance it has brought a group of ordinary people together to sing a song that will aid those in pain by being that helping hand who cares. 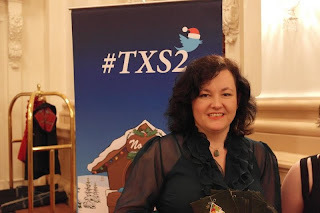 From all corners of the country, be it car, train, bus or in one case by plane from the US, we converged at the Westin Hotel to sing for #txs2 (#twitterxmassingle). The twitter gathering came about in 2011 when Brenda Drumm tweeted ‘wouldn’t it be great if we made a twitter Christmas single’. Little did she realise what she had unleashed. Last year 140 people turned up to sing Winter Song to raise funds for the neo-natal unit in Holles Street. On Sunday 11th November, in response to Brenda’s #txs2 tweet, we came together to sing Holding on for Christmas which is an original song written by Ian Callanan, Brenda Drumm, Gavin Byrne and Alan Chadwick. This year the charity of choice is Console, an organisation that resonates with me on a personal level. I am angry. I am also worried that there is a trend developing within the Irish judiciary system that facilitates the commercialisation of sexual crimes. In July this year Anthony Lyons was found guilty of sexually assaulting a 27 year old woman. He was given a six year sentence whereby five and a half years was suspended and he was ordered to pay €75,000. Lyons defence was that the effects of the cough medicine, alcohol and medication for high cholesterol "left him unable to resist what he did." I write, I read, I pontificate - hence the blog. I can be found tweeting randomly @h_a_quinn. A sample of my stories and poems can be heard at http://audioboo.fm/helenquinn or at http://audioboo.fm/AWayWithWords. I'm a member of Cill Dara Writer's circle and a co-facilitator with WriTeen Scene, a creative writing group for teenagers.